My good friend Jeremy McMullen is back for more! Jeremy provided some more fantastic art for this week’s strip, once again turning in the most realistically drawn version of the Drove yet! Attaboy Jeremy! 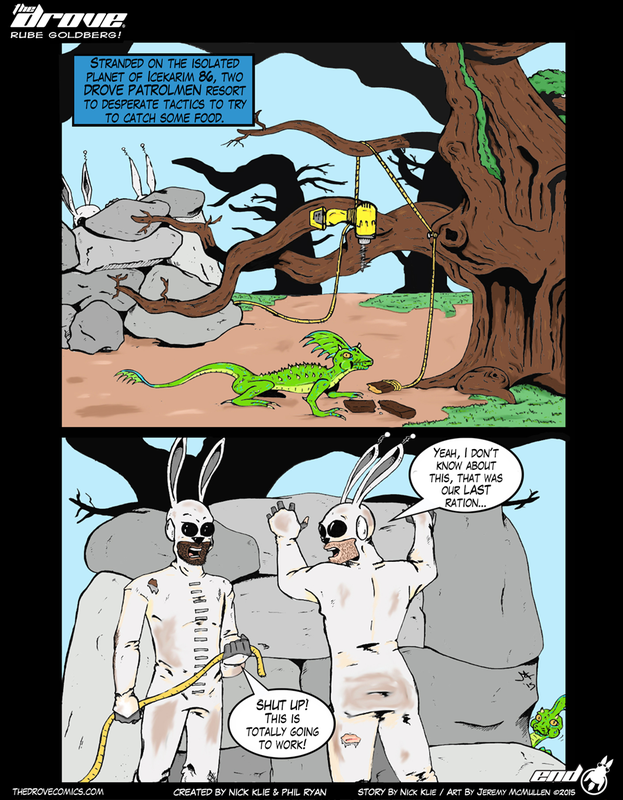 This comic was posted in The Drove and tagged booby trap, bunnies, bunny, comic, death, drove, power drill, rabbits, Rube Goldberg, sci-fi, the drove, thedrove, webcomic.